E-Health refers to the use of information and communication technologies in healthcare, and it can be the emerging field in the interaction of medical informatics and public health and business. The types of E-Health are electronic health records and electronic medical records. 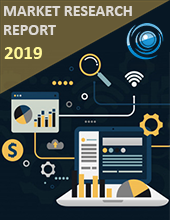 The significant factors that boost up the market are the growth in IOT, technological innovations, increasing usage of internet and mobile technology, rising demand for the population health management and need to reduce the healthcare costs. South America E-Health market size is projected to reach approximately $18.29 billion by the end of 2024 with a CAGR of close to 13.30% from $9.91 billion in 2017 during the forecast timeline 2018-2024. The significant factors that propel the growth of the South America E-Health Market are an advancement in Information and Communication Technologies, increasing usage of mobile technology and internet, decreasing costs of sensors and rising number of chronic diseases. However, usability problems and privacy and security issues may hamper the growth of the market. South America E-Health Market is segmented on the basis of service type which is further segmented in to financial service, administrative service and clinical service, in which clinical service is subdivided in to E-health record, E-medical record, smart wearables, telemedicine, laboratory information system, VNA and PACS, clinical decision support system and health information exchange. Among these, Electronic Health Record segment holds the most significant share in the market approximately 25% of the market share due to the growing demand for the adoption rate of EHR by many nations globally. By end-user South America, E-health market is classified as pharmaceuticals, biotechnology, research, healthcare organisation and government organisation. By Geography, South America is classified into Argentina and Brazil.